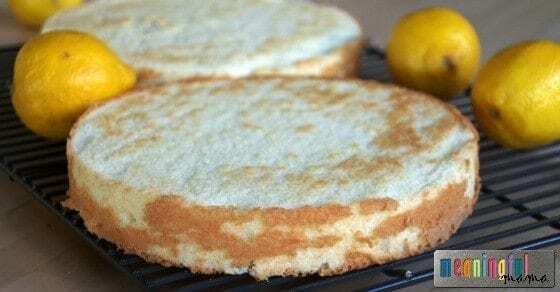 This moist lemon chiffon sponge cake recipe should delight the pallet of your guests and provide an amazing lemon flavor that is adored by all. My daughter recently turned 7, and her was request was to have a sunshine birthday. Lemon flavored cake seemed like the perfect accompaniment to the theme. We all love lemon too. Just check out these lemon scones if you are a fan and want a delicious breakfast treat. You also might enjoy checking out my cakes tab for more recipes and design ideas. Stay tuned for how I decided to decorate this delicious cake. Prepare two 10″ pans as described in my cake making 101 post. Whip together the oil, egg yolks and lemon zest until just combined. Stir in the water, lemon juice and vanilla extract until combined. 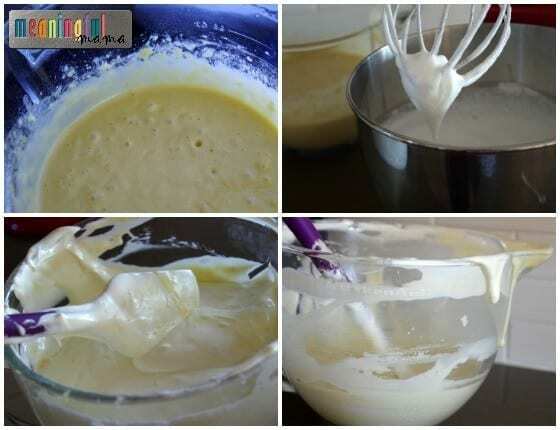 In a separate bowl, sift together the cake flour, 3/4 cup sugar, baking powder and salt. Stir this into the egg yolk mixture. Whip at a high speed for 1 minute and set aside. In a separate bowl, whip together the egg whites to a foam. Gradually add the remaining 1 1/4 cup sugar and continue whipping until soft peaks form. 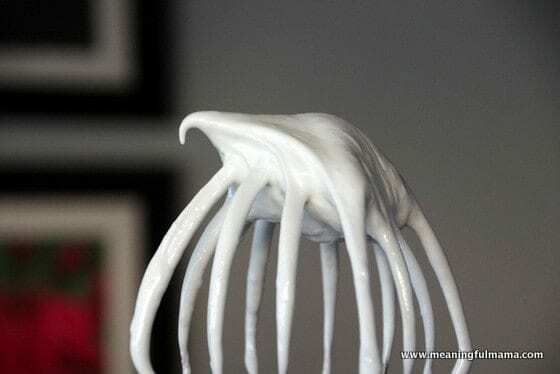 Carefully fold the meringue into the reserved batter. Bake at 375° F for approximately 25 minutes. When a cake is done it should spring back when pressed lightly in the center or when a toothpick comes out clean. Do not over cook. Cool cakes before frosting with my fluffy lemon buttercream frosting recipe (coming soon). Note – With this recipe I was able to make 3 – 8 inch cakes when I only filled a 2 inch pan half full + 1 – 5×3 inch pan half full. 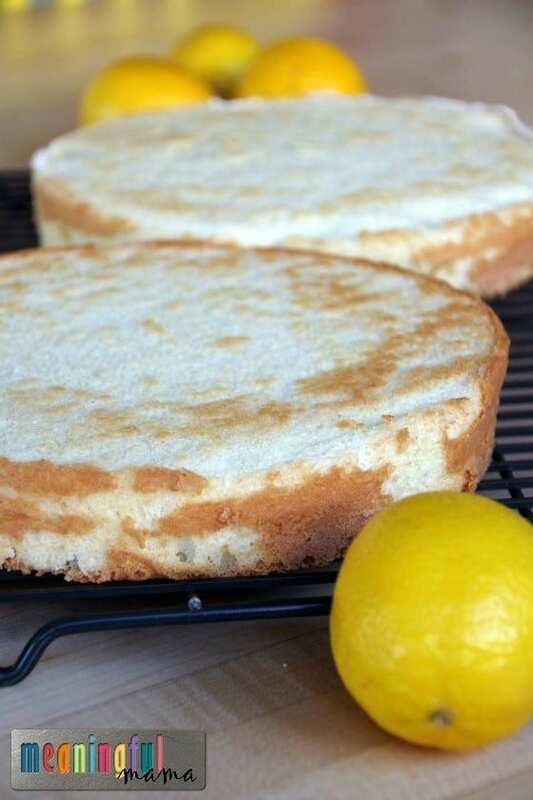 I hope this Lemon Chiffon Sponge Cake Recipe becomes a favorite. If you are needing a great white cake too, I’d definitely recommend my most baked cake – My White Velvet Cake.